At The Edge’s rehab treatment centre, we have assembled a small, collaborative support team comprised of individuals from a variety of backgrounds to holistically and specifically address the needs of our young clientele. Our Western-trained and licensed professional counselling specialists work in conjunction with physical trainers and mentors to motivate young men to overcome challenges and reach their full potential. Our team has extensive experience in treating addictions as well as a range of behavioural addictions. John combines motivational interviewing, cognitive behavioural therapy, mindfulness and the 12-Step model of addiction recovery. He has worked as a member of multi-disciplinary treatment teams in both residential and outpatient settings with complex patients and diverse populations. He has been involved in sport from a young age, was an accomplished amateur boxer and eventually went on to coach young men in this sport for several years. In later years he studied both Karate and Aikido. 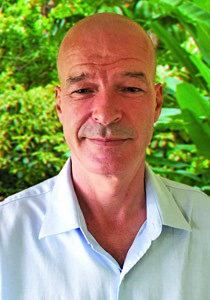 John holds a BS and has worked as a counsellor in the Netherlands with the Dutch Addiction Treatment Foundation under the auspices of an accredited US and UK accredited trainer. He delivered substance abuse education in the largest addiction treatment centre in the Netherlands. 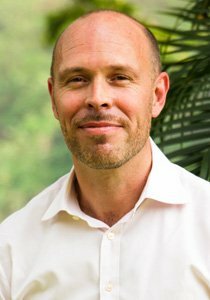 As well as a counselling qualification, John has also completed courses in psychology with Trinity College Dublin and studied insight meditation for two years in the Dublin Buddhist Centre. He has been working as an addictions counsellor in Thailand since 2013. 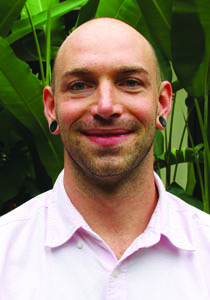 Matt has been working in the addictions field since 2008 after receiving a Counselling Skills Certificate from Vancouver Community College in Canada. 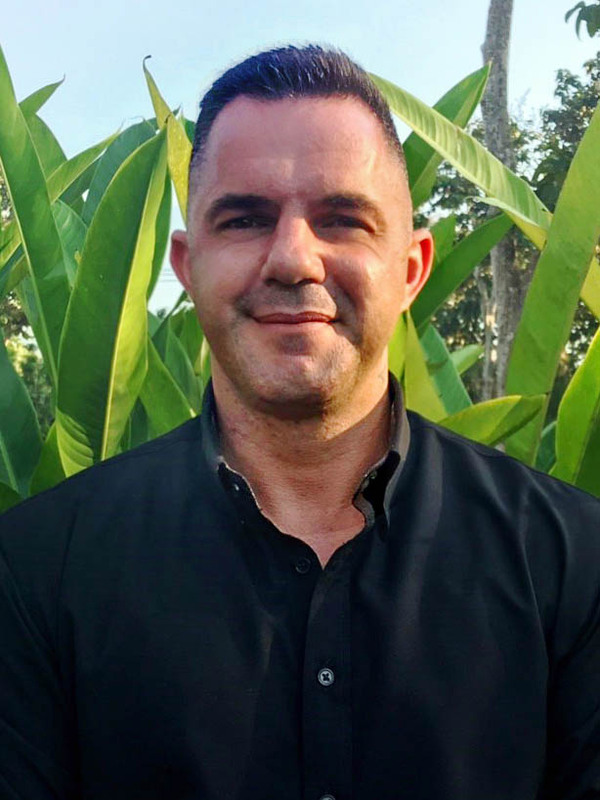 He is also a certified Level II Substance Abuse Therapist through the Asia Pacific Certification Board and came to Thailand to help people recover from addiction. Matt has sponsored and mentored many people over the years and has worked closely with youth suffering from substance abuse problems in Vancouver. At The Edge, Matt is able to share his own personal experience recovering from addiction with our clients and is passionate about helping others. Steve brings extensive knowledge and experience in health and fitness including physical development, overall wellbeing, fitness performance and rehabilitation to The Edge. His background includes a fulfilling career in the UK military and service in security, project management and consultancy in the US and Gulf States. His skills and experience have enhanced his ability to assist younger clientele to achieve fitness goals and resolve their psychological hurdles through sport. Given his managerial role in the corporate setting, he has been an inspiring motivator for young people, helping them fulfil their psychical potential and improving on their discipline and mental readiness. 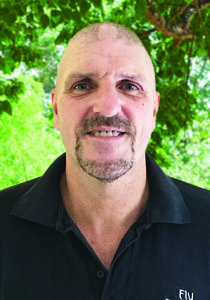 Steve has a lifelong passion for outdoor activities, team sports and martial arts. He has completed three marathons and several mountain expeditions. He is a qualified mountain leader and instructor in karate and fitness. He keeps active with gym work, running, mountain biking and CrossFit. Angus holds a Clinically Certified Trauma Professional (CCTP) certification from PESI and has extensive experience in the addictions field including one-on-one counselling, group work, experiential therapy and 12-Step facilitation. Disciplined and passionate about his work, he is currently pursuing a diploma in counselling at the Australian Institute of Professional Counselling. Angus enjoys practicing martial arts and has had several professional fights in Thailand. Sam began helping the addicted people by practicing social activities which against drugs using in Egypt in 2010 and attending the NA meetings at Chiang mai – Thailand. 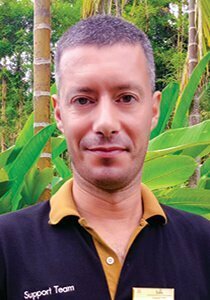 Since 2017, he got the Master Degree in International Relations, using his experience to help the clients to recover and stay clean. Alastair Mordey (BA Hons, FDAP) is one of the founding members of The Cabin Group. He is a certified and accredited drug and alcohol professional with over 15 years of experience working in the treatment field.